They were diluting facts and data, and making it nearly impossible to learn anything of real value. Dad hoped that by writing the book, people would have a place to go to learn for themselves, with out the undue influence of the crazy extremes. While the first edition received critical acclaim and even won Phi Beta Kappa’s 2011 Science Book of the Year award, sales volume wasn’t the best. But none the less, for those in the know, it was an important book, gaining praise for it’s straight forward approach to very complex issues, presenting what we know, how we know it and what we can reasonably do about it, in a way that the non-technical can understand. Time passed… Cambridge University Press wanted to re-release the book as part of the Canto Classics series. (The Canto Classics are books from Cambridge that draw “from the most successful titles published by Cambridge over the past half-century and more, bringing them together in a newly-designed paperback series that offers the very best, most influential and most enjoyable books from the breadth of Cambridge publishing.”) This is what triggered the creation of the second edition. 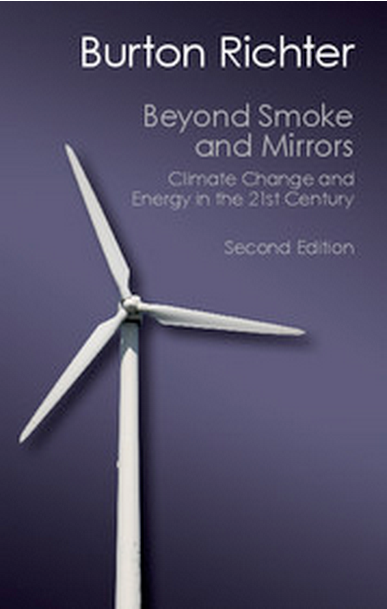 Beyond Smoke and Mirrors is now in it’s second edition. The first edition received Phi Beta Kappa’s 2011 Science Book of the Year award. 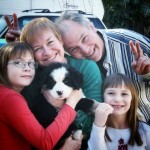 Now, its been most of a decade since Pops wrote the first edition, and much has changed. Some the changes are technical, like the progress (or lack thereof) with regards to ethanol for transportation or carbon capture and sequestration. Some changes are in policy perspectives, including more of the non-climate change motivation for carbon emissions reduction. (An Abrams battle tank gets about 0.6 miles per gallon. It takes a lot of gas to run armored vehicles. The military wants better gas mileage to increase operational range of the fighting vehicles, but also to reduce the supply line burden assumed to deliver the gas to the battle front. They want much more efficient transportation not because of global warming, but because of time-on-target and how many people die running fuel to the front. China cares a lot about pollution not so much because of what will happen in a hundred years, but the cities are getting close to unlivable because of air pollution.) There is a lot more information as to why people who don’t care about climate change per se need to care about our energy future. But the change that I most enjoy is the the writing is more approachable and conversational in style. While Dad was always very explicit when stating what was his opinion as opposed to reporting or explaining objectively verifiable facts, there is something in the prose that is more approachable and familiar. I also love how it feels like he is much less worried if one of his opinions will piss someone off. So, I think the second edition is much improved. Buy a copy and read it. Really, if Congress would actually take the time to read books like this, we’d all be better off! Previous Previous post: WiFi Health and Safety – A Summary of the Mess!